If everyone has their 'thing'.... mine would be table styling (after being a rising rap superstar, see below). I'm no pro. But give me 20 minutes in your home and I can easily style an entire centerpiece around things you likely already own. 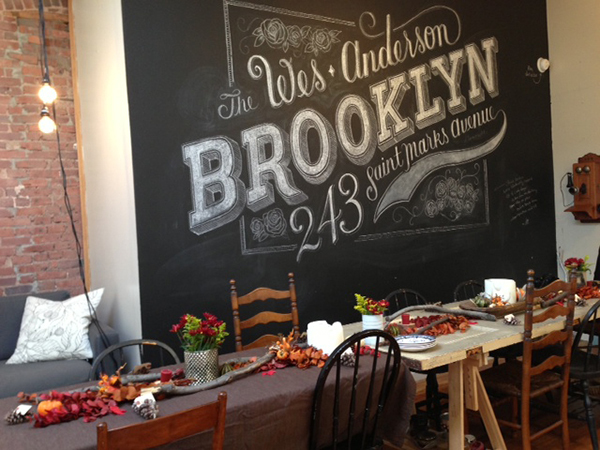 I believe you can make a knockout tablescape without emptying out your wallet. For my own table, there are the staple pieces I keep on there at all times. This includes: tea candles, dried flowers and the antlers. Then there are the rotating items like : sticks, pine cones, large candles and various cake stands. For holidays, I like to switch out the dried flowers to something actually alive and seasonal, change up the centerpiece and add some random things from here and there around the apartment that fit the theme. Ta-da, all I spent money on was the flowers! Yes.... to answer your first thought, I have a reserve of sticks in my apartment. Don't even ask how hard it is to find good, clean sticks in New York City. - Think outside the box. 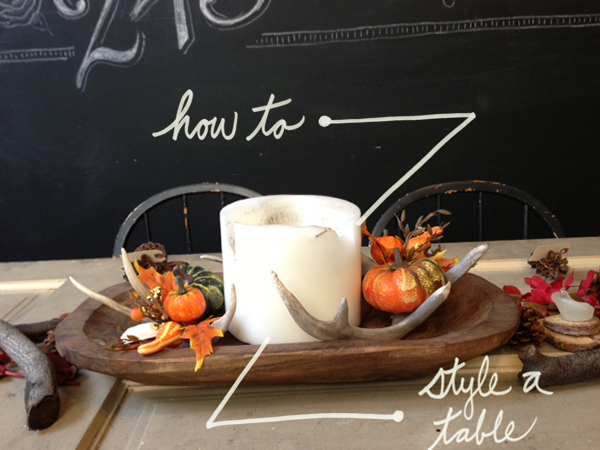 Don't be afraid to use things around your house in unconventional ways to style your table. I use my grandmother's old tea cups as flower holders for single daises during the spring. Or old tin coffee canisters to hold larger flowers. - Recycle. I tend to use the same things for multiple dinner parties. No one ever cares. If they do, don't ever invite them over again. Problem solved. - Have fun. Usually no matter how much effort is put forth, your guests will love any extra pizzazz you put put together for their enjoyment. - If money has to be spent, choose to use it towards fresh flowers or something that brings in a holiday touch. I picked up a few small pumpkins for $0.50 a piece at the local market along with the eucalyptus. Super cheap and easy. - Make it personal. Little touches go a long way. Place cards are my jam. I love to mix it up, but you'll usually find these manila tags tied around your silverware or a pine cone. What are some of your table styling tips and tricks? With the second round of holiday dinners around the corner, I'm sure we could all use some shared ideas to keep us inspired!